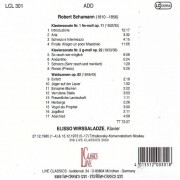 Her approach immediately grabbed my attention; this is a very personal kind of Schumann, yet never ego-centered or out of line. Tone and technique match. Wirssaladze is one of the few real romantics around, with power, delicate rhythmic alternations, and a very strong musical profile. If these beautiful sonatas are unfamiliar to you, they are among the early romantic masterpieces and well worth knowing. 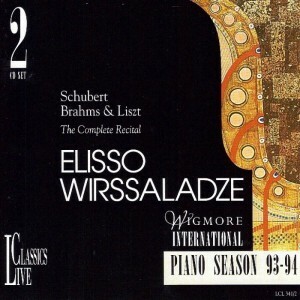 Wirssaladze’s interpretations are easily as good as any around, with excellent modern sound. This lady is an important pianist. 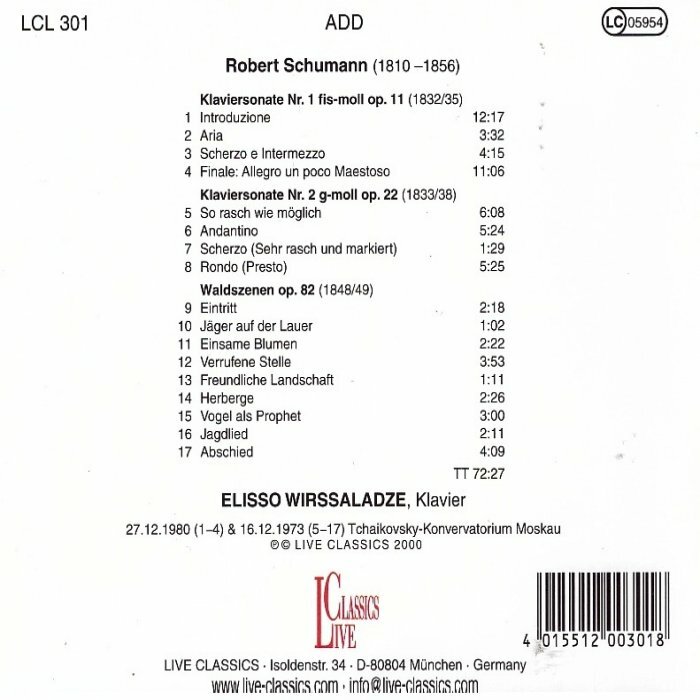 Wirssaladze’s approach to Schumann emphasizes the feeling we get that no one wrote for the piano the way he did, before or since, or perhaps even understood the instrument’s possibilities. 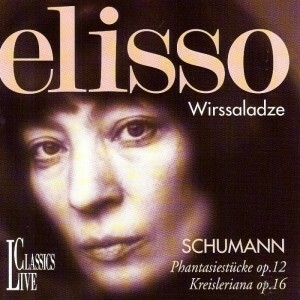 Virssaladze here turns her attention to Schumann, her favorite composer…Virssaladze seems to be stressing Florestan over Eusebius in these readings. 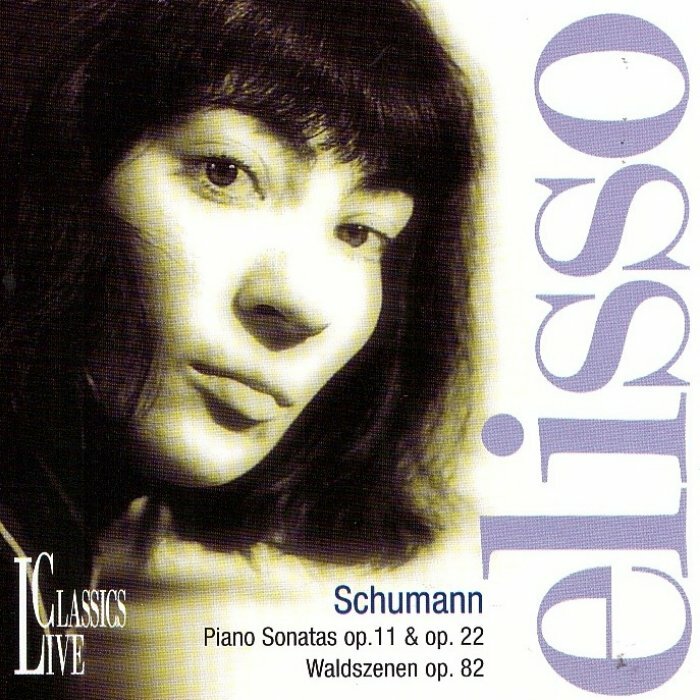 Her approach immediately grabbed my attention; this is a very personal kind of Schumann, yet never ego-centered or out of line. Tone and technique match. Virssaladze is one of the few real romantics around, with power, delicate rhythmic alternations, and a very strong musical profile… This lady is an important pianist.